Packing is always important, but even more so when hiking to Everest Base Camp. I knew I would have to carry my backpack for 3 weeks and I wanted to be sure everything I brought was absolutely essential. Before starting our hike, I browsed through many packing lists and from these lists created my own ‘Essentials for EBC list’. 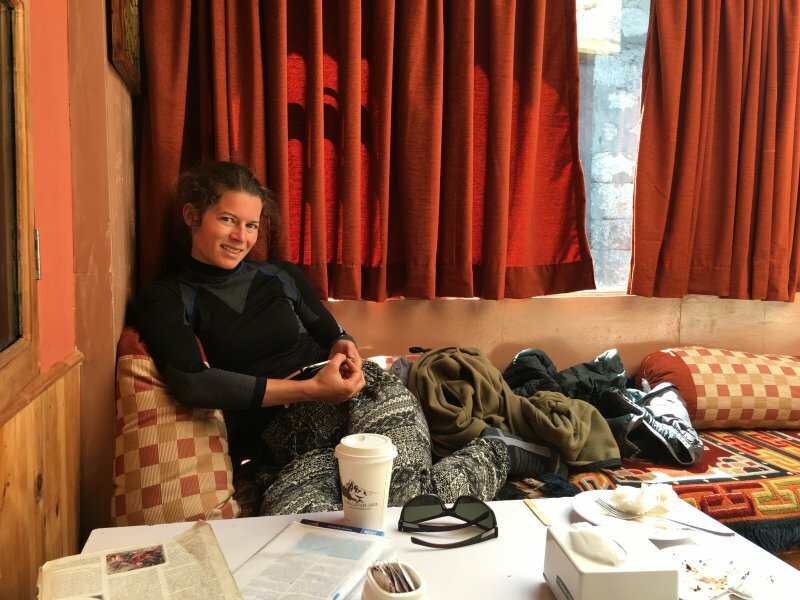 Because we traveled around the U.A.E., Sri Lanka and Oman before flying to Nepal, we didn’t have many warm clothes and other hiking essential with us when arriving in Kathmandu. 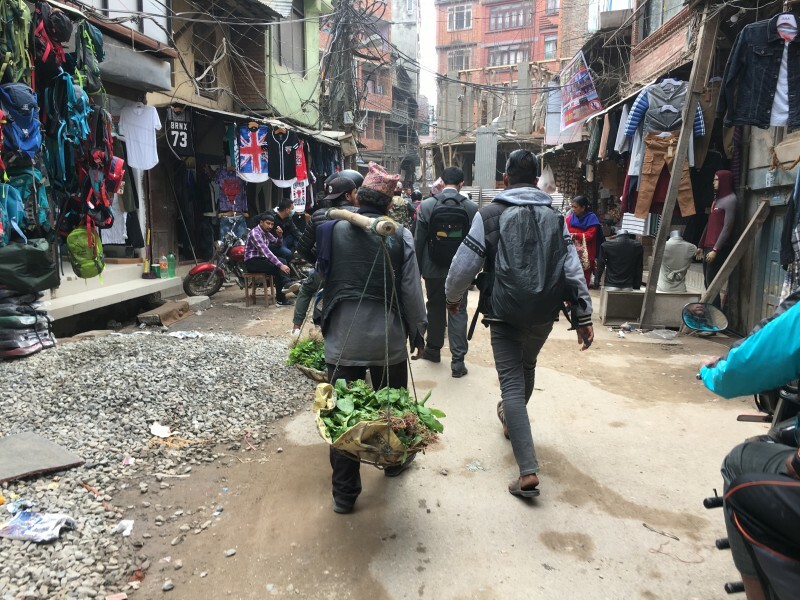 It took us 3 days of shopping in Thamel (the backpacker district of Kathmandu) to find all the items on our ‘Essentials for EBC’ list. What did we pack for our Everest Base Camp trek? Below you can find my packing list. Keep in mind I travel with my husband Frank and we split the items in the categories food, toiletries, medicine, electronics and other essential items between both our backpacks. We both had our own set of basics, hiking and lodge clothes and stuff for sleeping. In the packing list below I indicate for each item if we bought this in Kathmandu or if I brought this from home. We hiked for 3 weeks and started from Jiri. 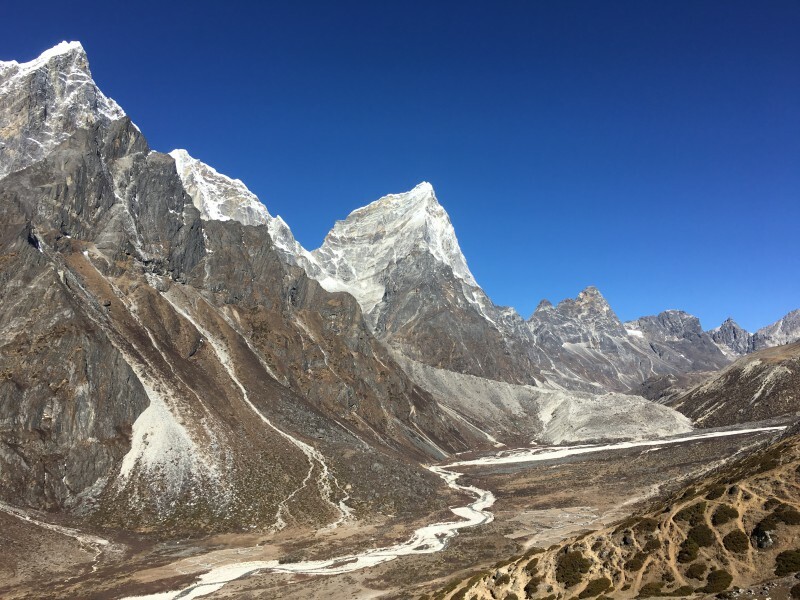 We hiked to Everest Base Camp in 15 days and back via the Cho La pass and Gokyo. You can read everything about our trekking itinerary and the lodges we stayed at in this post. • Sleeping bag ⇒ we bought sleeping bagsfor our camping trip in Oman and took these with us to Nepal. You can also rent a sleeping bag in Thamel. • Ear plugs ⇒ to fall asleep when your neighbor is snoring loudly. The walls in the lodges are very thin. • Snickers ⇒ we bought a 10-pack of small Snickers in Kathmandu and 3 medium Snickers in Junbesi. For us this was enough for the trek, but if you like to eat chocolate every day you’ve got to buy some more. • Cookies ⇒ we bought 3 packs of cookies in Kathmandu but they sell cookies in every lodge. Along the way, we bought some delicious freshly baked oatmeal cookies at the Himalayan Java Café in Namche Bazaar and the Snow Lion bakery in Dingboche. • Travel towel ⇒ we actually forgot to bring one, luckily all the lodges kindly provided us with a towel. • Sunscreen ⇒ the sun is very strong in the mountains! • Labello ⇒ to protect my lips from the cold and dry air. • Deodorant ⇒ made me feel a little bit fresh even when I wasn’t. • Contacts and glasses ⇒ when traveling I prefer to wear daily contacts. In the evening, I mostly wore my glasses. • Vitamin C ⇒ I got nowhere near the recommended amount of vegetables and fruit so I felt it didn’t hurt to take some extra Vitamin C.
We didn’t use any of the medicine except for the bandages and a couple of paracetamol when we had a bit of a headache after hiking to Kala Patter and Everest Base Camp. Nevertheless, it’s better to be prepared and I always carry the medicine mentioned above with me on a long-term trip (except for the Diamox). 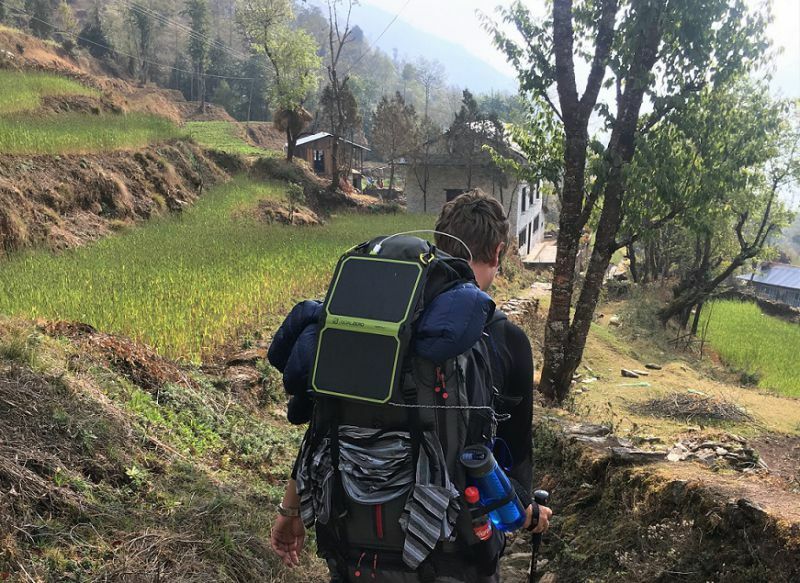 • Goal Zero Nomad 7 Plus Solar Panel and the Goal Zero Venture 30 Power Pack ⇒ we bought both this solar panel and power bank at the North Face shop in Kathmandu. As we love the outdoors and regularly go camping, these items had been on our wish list for a long time. They really came in handy at the EBC trail as the costs for charging increase the higher up the trail you get (from 200 rupees per charge up to 300 rupees per hour!). • Kobo Glo e-reader ⇒ absolutely essential! We had plenty of time to read during our 3-week hiking trip. Make sure you have enough books! • TIMS Card ⇒ when hiking in Nepal you need to obtain a TIMS Card (Trekker Information Management System). You can buy a TIMS Card at the Nepal Tourism Board office in Kathmandu for 2000 rupees. • Sagarmatha National park permit ⇒ at the Nepal Tourism Board office you can also buy the Sagarmatha permit, which you need to hike in the Everest region. Costs for the permit are 3400 rupees. • Passport ⇒ we needed to show our passport and register at police checkpoints in Jiri and Kinja. Plus, I always carry my passport with me when traveling. • Plenty of cash ⇒ there are banks in Lukla and Namche but we were not sure if our cards would work there. Plus, we heard the amount of cash you can take out is very limited and taking into account the fee of 500 rupees per transaction we preferred to get cash in Kathmandu (maximum amount per transaction was 35.000 rupees = €318/$350). You can read exactly how much we spent on the EBC trail in this post. • Lots of toilet paper ⇒ we bought 10 rolls of toilet paper in Thamel for 65 rupees a piece and used about 9 rolls during our 3 week hike from Jiri to Everest Base Camp. On the trail prices for toilet paper (as with prices for anything else) increases the higher you get. • Lonely Planet Trekking in the Nepal Himalaya ⇒ I always buy a Lonely Planet of our destination, I love their guides. The one for Nepal was specifically for hiking and I found it very useful. It described the trek for each day and has a lot of practical advice about hiking in Nepal. I had the e-book version (to save some weight) but printed the Everest Region chapter. – The column ‘got it’ means ‘I have this item’ ⇒ I used the ‘got it’ column during our shopping rounds in Thamel to make sure we purchased everything on the list. – The column ‘packed it’ means ‘I packed this item in my backpack’ ⇒ I used the ‘packed it’ column to make sure I actually packed all the items on the list and didn’t accidentally leave something important in Kathmandu (we stored our other stuff at Hotel Bright Star where we stayed before and after the trek). You can download the packing list below. Feel free to ask any questions by leaving a comment or sending me an email! What do you think of my packing list? Am I missing something? I think we can safely say we here all love LOVE your “crazy” over planning, as this leads to so many information!! Wow, you gotta be a meticulous people, compose really details plan for the trip, I love this. Haha that’s such a nice way of saying it, I will use this description in the future;-). Glad you like the list!!! Great post Lotte! Its always best to be over-prepared than under-prepared, especially when it comes to something as big as this! 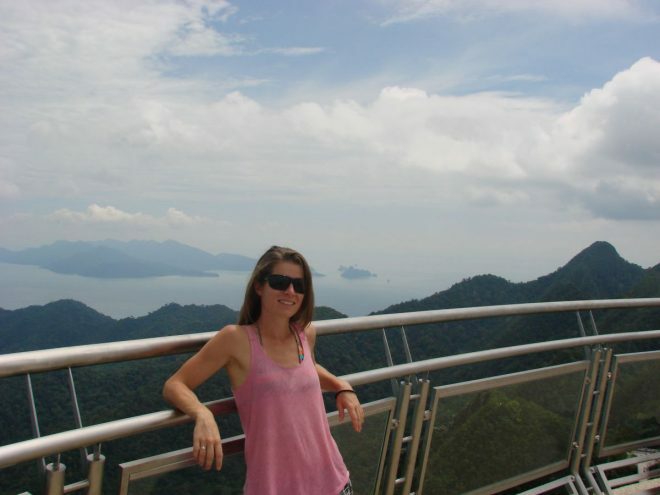 I would love to climb Everest one day – I had such a great time in Chile climbing an active volcano, but I would love to step up the challenge a bit next time! Thank you Mark! I agree, better safe than sorry… I didn’t actually climb Everest (but how cool would that be! ), I only hiked to Base Camp. You need about 100.000 dollar to go all the way to the top and I am not nearly that wealthy?. Hiking to Base Camp is very affordable though, I have published a budget breakdown post about it on the blog. First off Congrats Lotte! How amazing to get to the base camp of Everest. My brother in law did this trip and talked about how strenuous the hike was and how Mt Everest looked less intimidating compared to the mountain range itself. Its best to be over prepared than under prepared, especially when embarking on a trip like this. Hoping to do this with the family someday! So saving this awesome post! Thank you so much Priya! 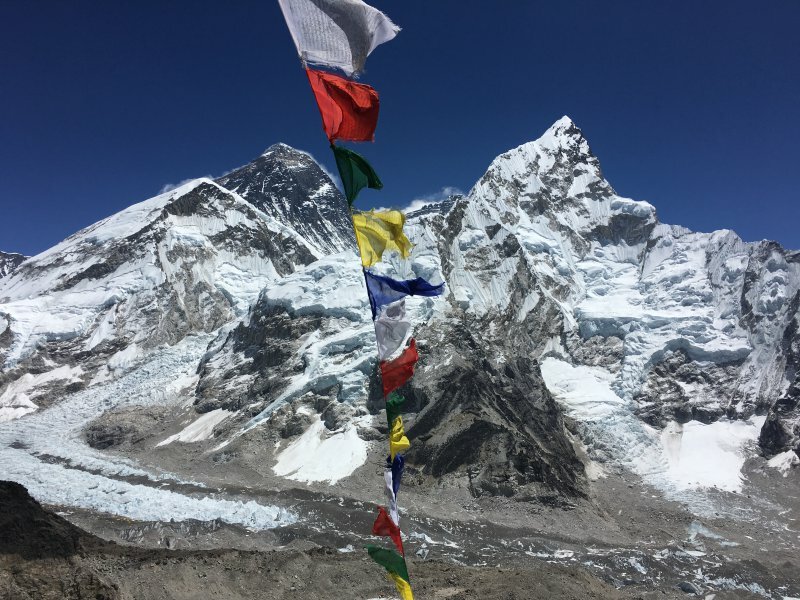 It was absolutely amazing to be in front of Everest, but your brother is right: the entire mountain range is super impressive… I agree, you really do need to prepare for this trek. 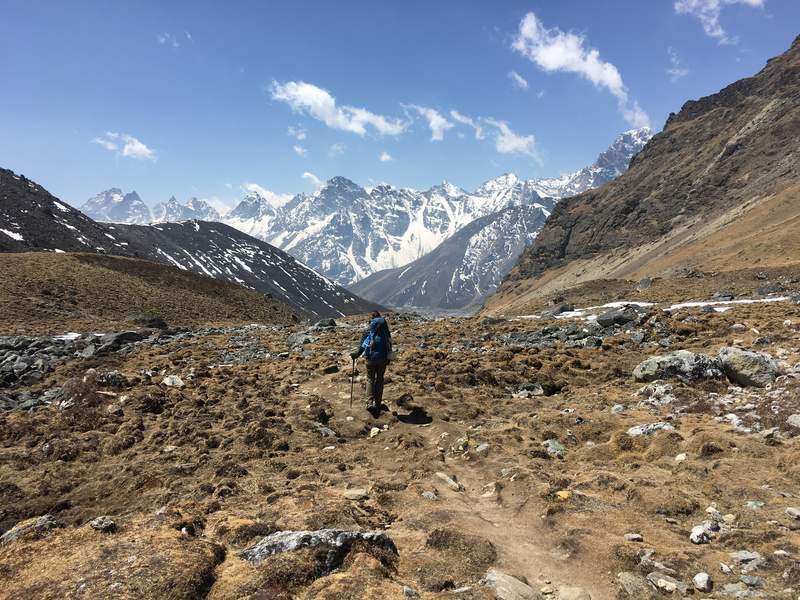 While it’s not a particularly difficult trail (no technical skills needed), it is strenuous and having the right equipment does make your life on the EBC trek a lot easier. Thanks Karen! Let me know when you have any plans to go, I’m happy to help you plan for the trek. It’s not actually that expensive, I published a budget breakdown post about our expenses on the EBC trek and we only spent about €62 per day as a couple! What a great packing guide! Hiking to Everest is no joke and you have to be very very well prepared. But yeah, getting a good amount of sleep is VERY important. You don’t want to be weakened by the lack of rest and just because the noise was bothering you.. I liked your food choices but I would add some of my own favorites like rice. It is easy to prepare and if you don’t mind the dull taste it can provide with plenty of energy. Hey George, thank you so much for your comment! I agree, in order to make your hike to Everest Base Camp as comfortable as possible it’s good to prepare well! Haha, I used my buff to cover my ears from the cold wind, don’t mind the noise but the wind is soooo cold! I agree, rice is a great option and provides plenty of energy. We did eat rice pudding in the morning, tasty and very filling. I hope your dream will come true and you can do the EBC trek one day. 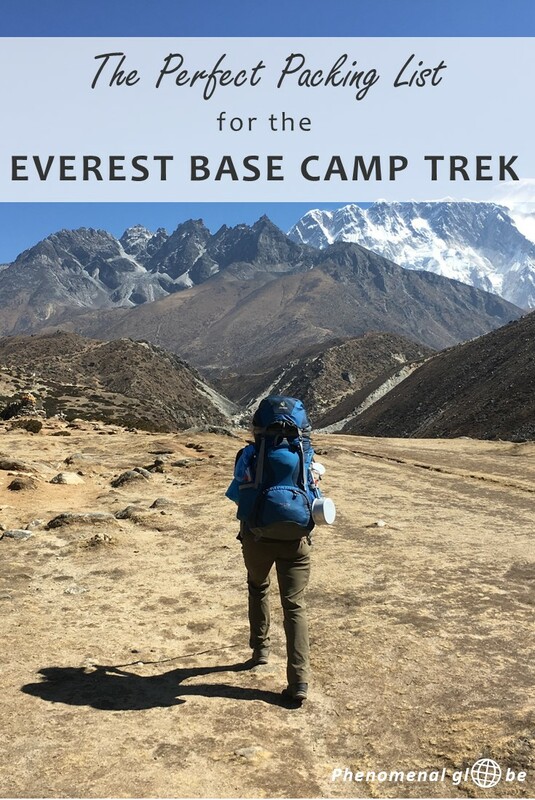 You can check my budget guide to learn more about the costs of the trail => https://www.phenomenalglobe.com/how-much-does-everest-base-camp-trek-cost/. Hi Lotte. I climbed Kilimanjaro a few years back and since then, climbing to Everest Base camp is another idea I occasionally entertain. Being a mom, I tend to over prepare for most things and so I love that you shard all the small details. Small thing’s like baby wipes can make all the difference! Great list! One brand I just found that sells quality gears is roadeavour. Thank you:-). I didn’t know that brand, will take a look on their website. Hi Lotte! Thank you so much for putting this together! by far this has been the most helpful EBC packing list i’ve seen. I have stumbled upon other lists that are way too complicated in my opinion. Good to see which are the true essentials and which other items are just “nice to have”. Thanks for the advise on what to get at Kathmandu and where. I have heard many accounts where people advise you to not buy/rent gear or clothes at Kathmandu due to their “questionable quality”. It’s nice to see you did just fine with the gear you bought there, so thank you for that. I’m preparing for my trip this November (EBC Trek + Island Peak Climb), i hear it will be very cold, so going to prepare for that as much as i can. Happy travels! Thank you so much for your kind comment! I’m glad you found my packing list helpful, it can be difficult to determine what (not) to pack:-). Your trip sounds amazing, but I agree, be sure to bring enough layers to keep you warm! We didn’t have any issues with the gear we bought in Kathmandu, though I will point out we didn’t intent to use it after our EBC trek. If you want to be sure you are buying a real North Face jacket, perhaps Thamel is not the place;-). Thank you so much for your information! I’m leaving next week and definitely feel better prepared with the pages you posted. I wish you all the luck on all your travels! Wow! 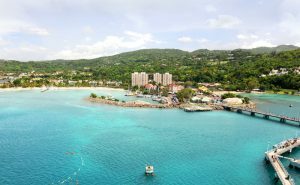 Your itinerary and list is amazing!!! When did you do the trekking? What was the temperature of your sleeping bag? Thank you, I’m very happy you like the itinerary and packing posts:-). We did the trekking in March/April 2017. Our sleeping bag wasn’t very warm (I think it was suitable for temperatures between 10-15 degrees Celsius) but paired with the blankets that were provided in the lodges it was perfect. Hello, I love your post. I’m doing the EBC trek next November. I am so excited but nervous about flying into Lukla. Do you think it’s needed to have a guide or is it fairly simple to do on your own? I think your list is perfect. I’m already preparing and I still have 14 months before I go. Very exciting you’ll be hiking the EBC trail next November! I was very nervous about flying from Lukla as well! I managed to avoid flying there because I hiked in from Jiri, but we did fly back from Lukla to Kathmandu… It was a little nerve wrecking but we made it safely back to Kathmandu airport. I did the trail with my husband and we never had any issues navigating the trail. Especially the trail from Lukla to the Everest Base Camp is very clear, I don’t think you’ll have a problem doing the trail on your own. You can still consider hiring a guide, you’ll support the local people plus a guide will usually arrange accommodation for you and tell you lots of interesting things about the Everest Area. Happy to hear you like my packing list:-) Good luck with the preparations and enjoy the trail!